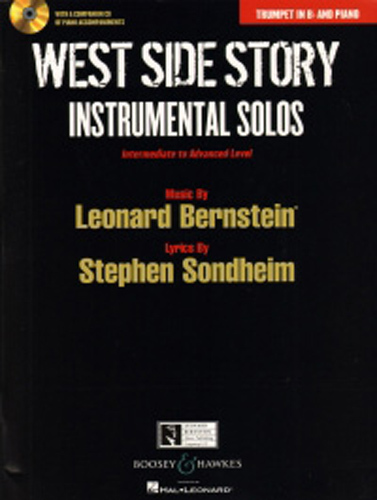 West Side Story Instrumental Solos: Trumpet in Bb and Piano. For intermediate to advanced level players. Music by Leonard Bernstein, lyrics by Stephen Sondheim. 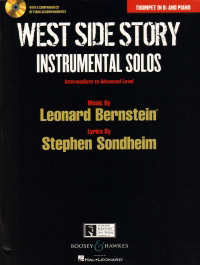 These arrangements are faithful to Bernstein's score, and have been idiomatically adapted to the instruments for this publication. Titles - Jet Song; Something's Coming; Mambo; Maria; Tonight, balcony scene; America; Cool; One Hand One Heart; I Feel Pretty; Somewhere. BHL10646.